It's probably too early. 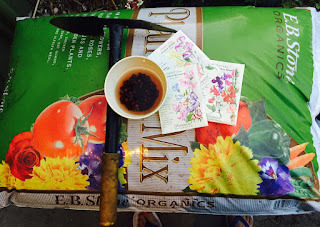 But I planted my Sweet Pea seeds today. In SoCal we're supposed to plant them in Autumn. Last year it was hot for so long that I had to do three rounds of planting to get them to sprout. It IS still Hot here but I'm hoping for cooler weather. I soaked the seeds for a day and a half. I hope that's not too long. 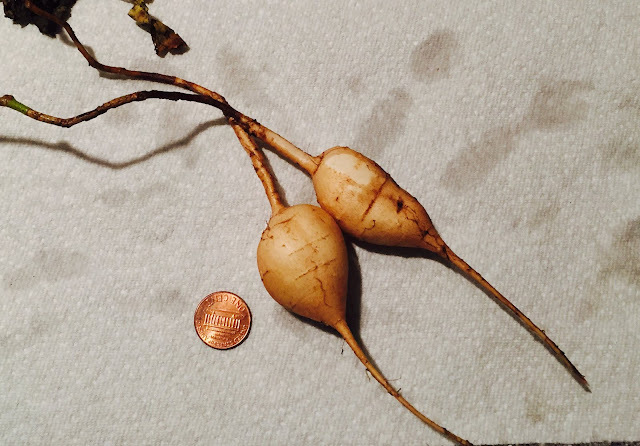 An update on my Jicama seeds that I planted last Spring. It was not a good summer for veggies in my backyard. My onions all rotted(and that is one of the WORST stinks I've ever smelled). My Basil hardly grew. A critter kept digging up my beds so my zucchini and corn never produced. As I was pulling out the last two dead Jicama(one is still green) to plant my Sweet Peas I couldn't pull them. I had to dig them out and found two little Jicamas! Winter vegetables usually do better for me as long as we have cooler weather. And please bring on El Niño. I plant a whole bed with lettuce as I'm a huge salad girl. What cool weather veggies do you plant?